On August 19, 2016, the Western American Diocese celebrated the Great Feast of the Transfiguration of our Lord and Savior Jesus Christ. 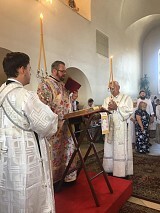 In the Holy Transfiguration Cathedral in Los Angeles, Archbishop Kyrill of San Francisco and Western America celebrated both the All Night Vigil and the Divine Liturgy with the parish. 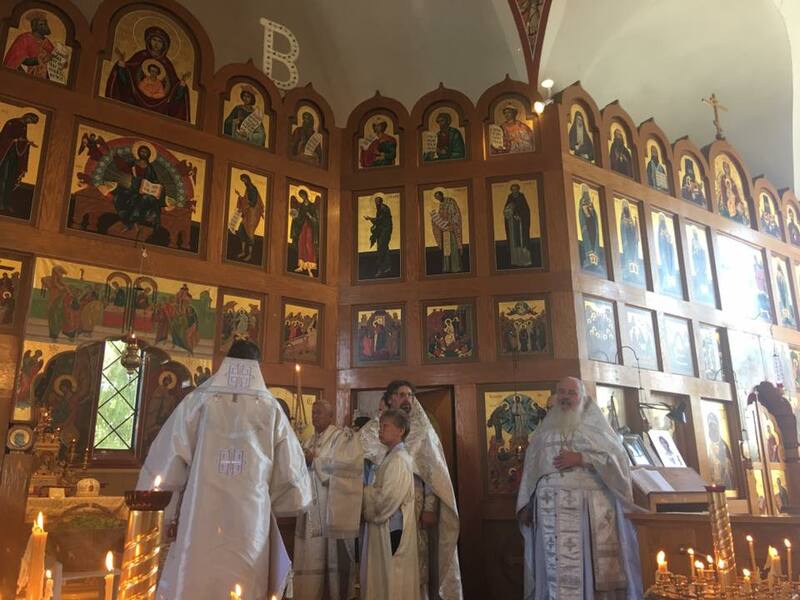 The participating clergy included: Archpriest Alexander Lebedeff, Rector of the Holy Transfiguration Cathedral, as well as Priest Alexei Polyakov, Priest Roman Katyshev, Priest Michael Orlov, and Deacon Andrei Karobkoff. 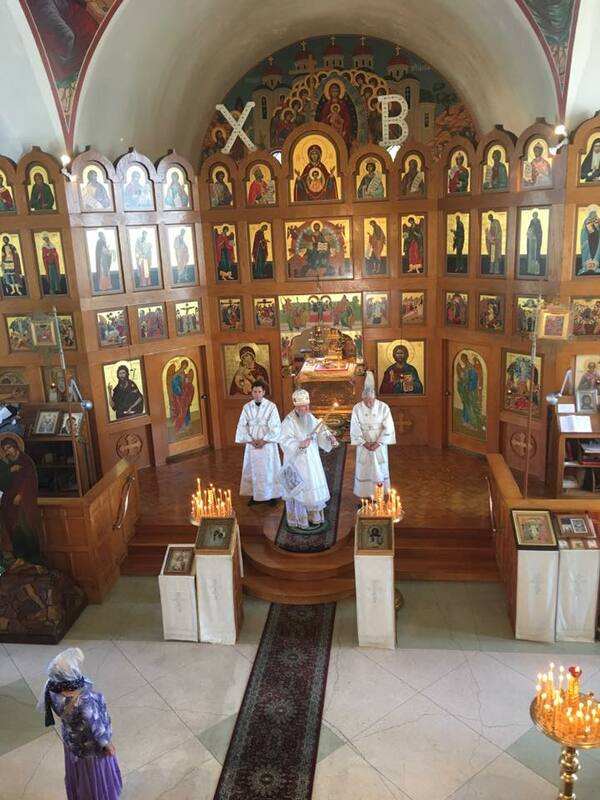 Guest clergy were also able to concelebrate for this Holy Feast, and they include: Priest Georgiy Gulin from Orange County St Barbara Church (ROCOR), and Archpriest Victor Tseshkovsky from Protection of the Holy Virgin Mary Church in Los Angeles (ROCOR). 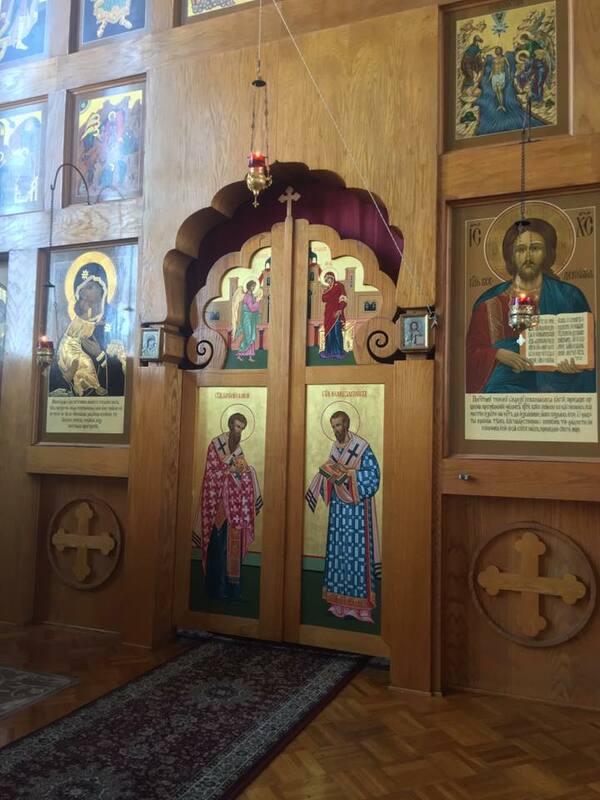 After the Divine Liturgy, Archbishop Kyrill blessed new icons for the cathedral with Holy Water. 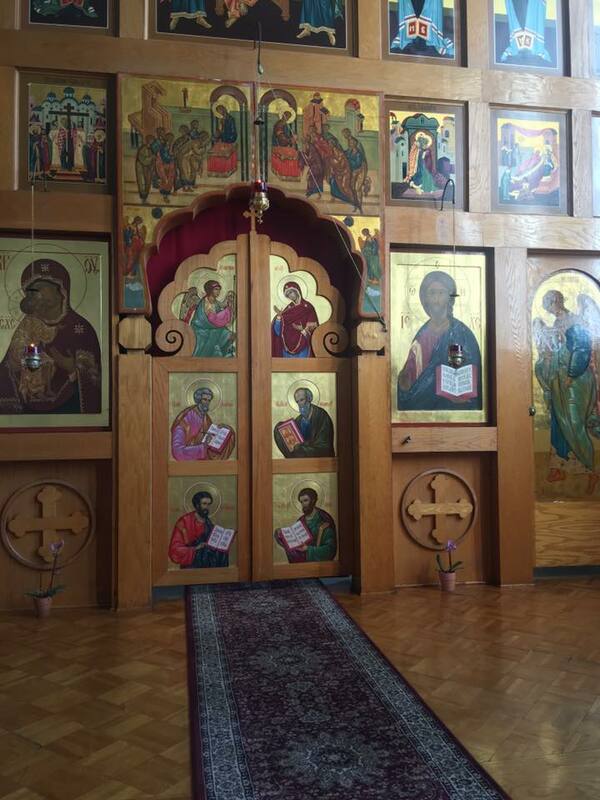 Vladimir Krassovsky wrote these icons for the Royal Gates of the Right and Left Altars. After the Divine Liturgy, there was a procession around the church and Archbishop Kyrill performed the rite of the Blessing of the Fruits. After the Services, everyone joined in fellowship for the festive meal provided by the Sisterhood.